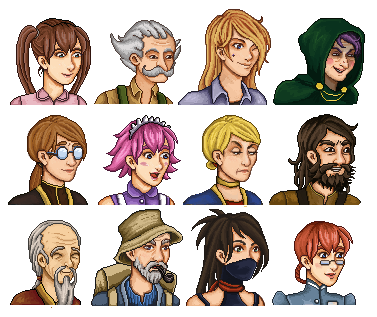 Secrets of Grindea » Weekly Recap #4: More portraits and more illness! Posted by Secrets of Grindea at 2011/12/09. Tags: animation, digging, Portraits. You need to make the eyes more feminine! The ninja looks really good though. Looking fantastic, looking forward to more updates!